The best raw value in the used car market in is almost always made in America. Need the biggest luxobarge for your dollar? Go with a Town Car. The best bang for your quarter mile buck? You buy this awesome Corvette Z06 - meticulously maintained, for less than the price of the most frugal of gas misers. 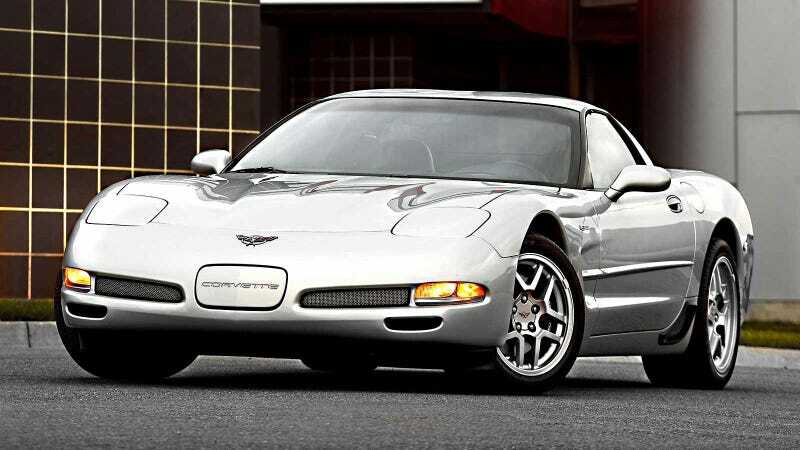 This 2001 Chevrolet Corvette Z06 is a bit of an oddity, as it really shouldn't be as fast as it is. Its 5.7 liter V8 engine produced around 385 horsepower (although some publications have amended that number to 400+) and was good for a 0-60 mile per hour figure of around 3.9 seconds. The quarter mile, bone stock was completed in the mid-11 seconds, and 10s are possible with a set of sticky drag radials and choice bolt-ons. For those unfamiliar, this is faster than nearly any production car you can get today. It's ridiculously quick. All service records since car was new, oil changed approximately every 3500 miles since new with Mobile One synthetic oil. The 100,000 mile spark plug service was done at 37,000 miles. Oil change was done 1490 miles ago. Tires have approximately 8000 miles on them. Correct size and speed rating Michelin tires. Car needs absolutely nothing service wise. It has been garaged since new. I am retired and have driven it approximately 3,000 miles per year since new. It has been waxed every two months . Interior and paint are virtually perfect. Looks like a one year old car. Leather is flawless. I have all documentation - window sticker, original bill of sale, owner's manual, original z06 video, all Calif. registrations since new. The car was purchased new in San Mateo, Ca. I have owned the car since 2710 miles. Since that time the car has not been in any type of accident. I have the original Bill of Sale (from the original owner) and signed statement from date of delivery with 6 miles on it until I bought it at 2710 miles saying that it was not in an accident. The car is totally original and not modified in any way except Michelin tires and K & N air filter. This is my 10th new corvette since 1975. I love cars and Corvettes. Without a doubt this is one of the best and cleanest examples of this amazing car anywhere. The parts are easily sourced and since the model is reasonably simple, there aren't any expensive maintenance schedules or fatal flaws. The interior quality isn't the best, but it's besides the point on a car of this caliber. Buy it before someone else does.